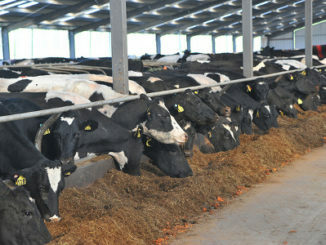 The next Dairy Cattle Reproduction Council’s (DCRC) webinar, presented in Portuguese, features “New Alternatives for Prevention and Treatment of Uterine Diseases.” On Aug. 22, at 1 p.m. Central Time, Cornell University College of Veterinary Medicine Associate Professor of Dairy Production Medicine Rodrigo Bicalho will address the challenges that uterine diseases present and recent research addressing metritis. Bicalho studied veterinary medicine at Federal University of Goiás, Goiania, Brazil, and graduated in 2002. Six years later, he earned his doctorate degree from Cornell University’s College of Veterinary Medicine, Ithaca, N.Y. His research interests include epidemiology, microbiology, lameness, metritis, mastitis, reproductive efficiency, estrous synchronization and using bacteriophages as diagnostic and therapeutic tools for bacterial infections in farm animals. To register for this webinar, go to: www.dcrcouncil.org/webinars and follow the prompts. As the webinar approaches, you will receive an e-mail with information on how to log in to participate. 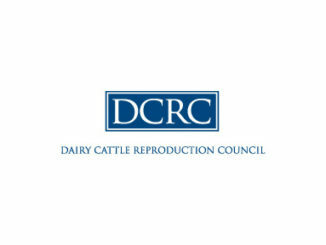 If you are a DCRC member and cannot attend the live program, you may access the webinar at dcrcouncil.org. Each 2018 DCRC webinar provides one American Registry of Professional Animal Scientists (ARPAS) continuing education unit (CEU). To report ARPAS CEUs, go to: www.arpas.org/Membership/CEUs/Report-CEUs. For more information about DCRC’s webinars, e-mail Fabio Lima, DCRC education committee chair, at: [email protected], or e-mail DCRC at: [email protected].